Due to unavailability of stock your order is cancelled with us. We had sent a mail to you but I guess it had gone on a wrong id hence it bounced back. We sincerely regret the inconvenience caused for the same. Could you please let me know the status of my order. And for RightGadgets.in…A BIG NO..Don’t go with it. 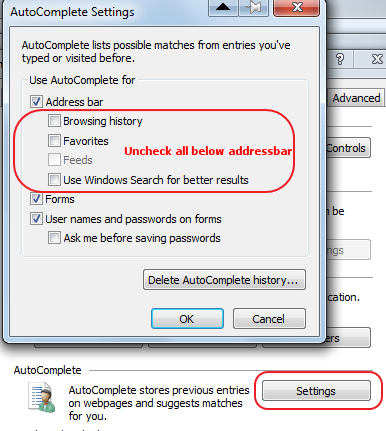 Goto IE9 > Internet Options > Content Tab > AutoComplete and uncheck all the items below address bar. Keep addressbar checked. That’s it!!!. It will show entire list of site.